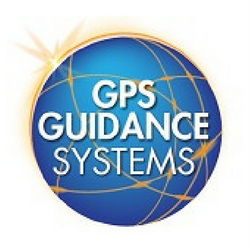 The MapVision® Mobile client software system provides users an advanced hybrid online and offline geospatial database with full feature GIS operations, background aerial satellite imagery/street maps, real time employee/truck/boat positional updates once per second and a comprehensive variable flow control system for adulticide and larvacide applications. MapVision® Mobile seamlessly synchronizes with any of the MapVision® platforms: Express, Elite, Premier and Enterprise. 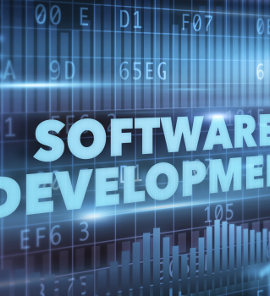 The software provides an extremely reliable mapping interface with built in flow control features and a ULV control console. Information such as time, MPH, product, ounces per acre, ounces per minute and total ounces are displayed at all times. Background satellite imagery is provide in real time using third party mapping sources such as Google, Bing and Open Streets. ULV controls for ignition, spray on/off, starter, starter & choke, and choke & flush are easily accessed by the operator. Below is a picture of the MapVision® Mobile system as it is displayed on the laptop. The yellow streets are the route(s), providing the operator real time tracking of specific streets to be treated. As the streets are treated, the yellow route segments convert to green or red depending on the spray status. 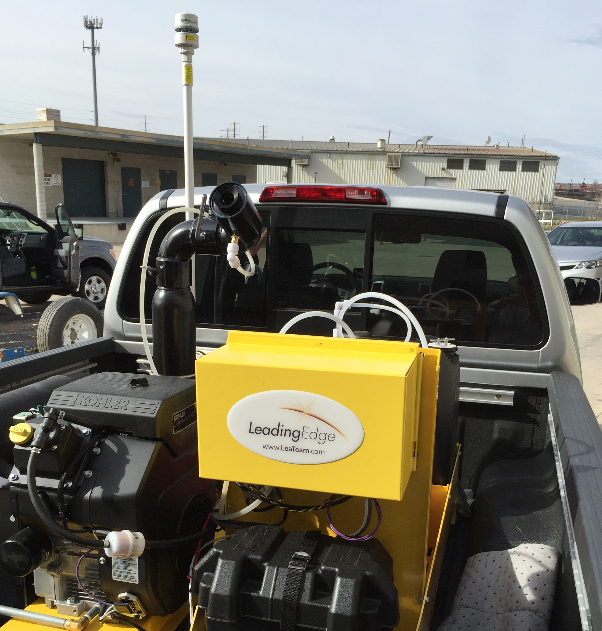 This eliminates multiple treatments of streets commonly found in ULV mosquito control operations not using the MapVision® Mobile system. The large blue no spray residents are displayed to the operator in real time. MapVision® Mobile automatically turns the spray off and on when approaching and departing a no spray resident or area. Users can easily update the no spray locations and set the no spray buffer size. 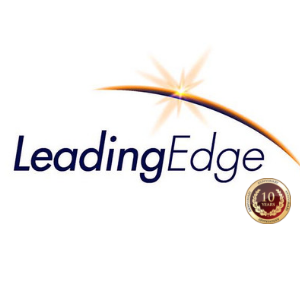 Leading Edge is the first to successfully implement and deploy a real time weather sensor that is fully integrated into the MapVision® Mobile system. The sensor is installed above the truck cab and provides instantaneous meteorological data at one second intervals to the operator. Autonomous Mode – enables operator to safely and simply drive the route. All spray on and spray off functions are handled by the system based on the minimum and maximum speed restrictions and if the operator is on the route. Auto spray off/on when approaching or departing a predefined distance of a no spray resident. Auto spray off/on when approaching and departing a no spray zone. Real time meteorological data is displayed and recorded to the operator every second. Post mission trips are wirelessly uploaded to the MapVision® server for display, reporting, printing and archiving. 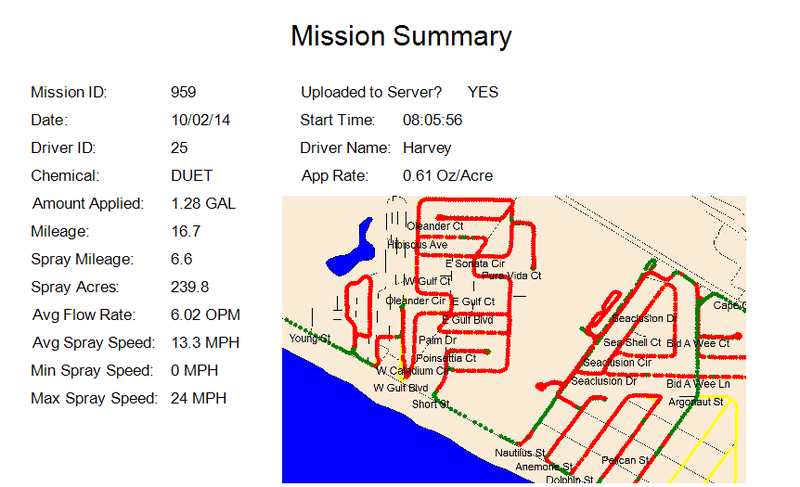 Above is a mission displaying the details of the application. 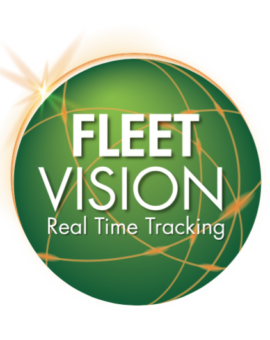 Users can click on any point on the route and view detailed information such as date, time, vehicle, driver, latitude, longitude, speed and heading, spray status, temperature, humidity, wind speed, wind direction and barometric pressure. 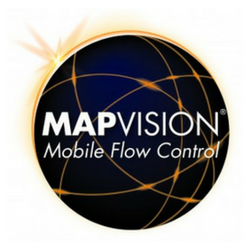 MapVision® Mobile provides a mission summary report that includes the map and application data sets. 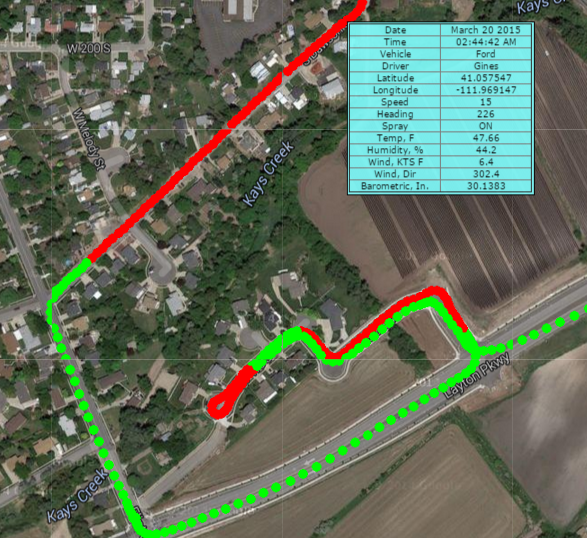 This report can be produced from the MapVision® Mobile software without uploading data to MapVision® Express, Elite, Premier or Enterprise.